Everything about fall is ideal for planting. You’ve got warm days, cool nights and rainfall, which creates a low-stress environment on your commercial Northeast Ohio property for new trees, shrubs and other plants. For commercial property owners that choose not to irrigate their landscapes during summer, waiting until fall to plant is a wise idea because they can take advantage of the wetter weather that we tend to get in Northeast Ohio during September and October. Now is the time to get trees, shrubs and other plants in the ground. At Schill, we generally plant annuals like hardy mums through mid-October. Landscape material like taxus, boxwood and other foundation shrubs—along with trees like maples and evergreens—can go in the ground until temperatures drop to freezing. Since we’re never exactly sure when that will happen, we recommend completing your fall planting in October. As for transplanting plant material, we advise that you stick with installing new trees and shrubs that will more quickly adapt to the landscape. Transplants need extended time to develop because they must recover from the stress of being uprooted and readjust to their new location. Because Cleveland winters can be unforgiving, wait until spring to transplant. As for new plant material, most trees, shrubs and even flowers are fair game right now, though we do suggest you avoid putting in delicates like roses and hydrangea that tend to not perform as well once the temperatures drop. 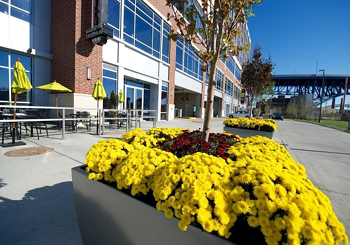 Wondering what to plant this fall on your Cleveland commercial property? 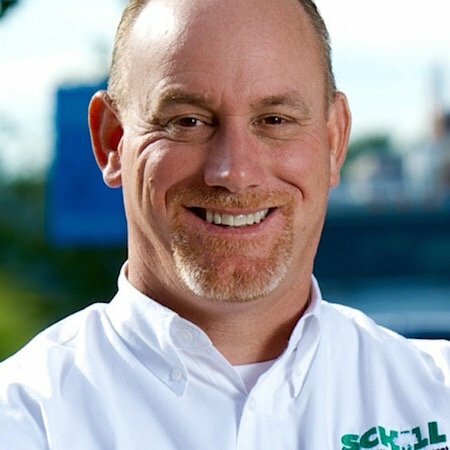 We thought we’d put together this fall planting guide for commercial landscapes in Northeast Ohio. Here are some of our favorite picks. Maple trees and other shade and ornamental trees can be installed through October, and they’ll require less maintenance during fall. That’s because the trees are heading into dormancy and require fewer inputs (water, nutrients). Even young trees will do well in winter when properly planted. By planting them in the fall, you avoid heat stress and potential disease that can result in summer. Want to know more about how to care for your lawn in every season? 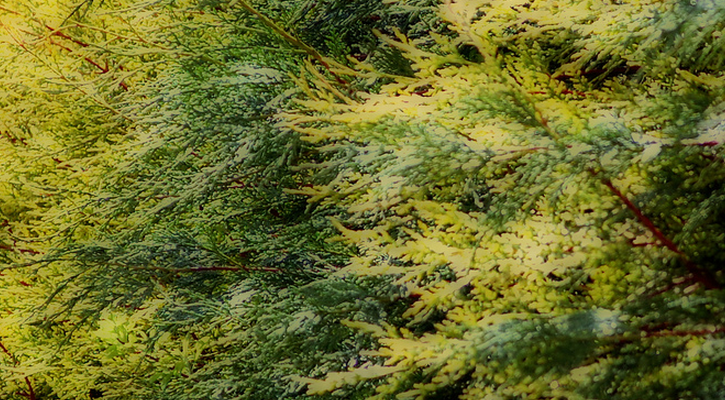 Evergreens provide year-round interest and natural screening for your Northeast Ohio property. Unlike ornamental trees that go bare in the off season, evergreens give the landscape a shot of green during “white” winter months. Evergreens are hardy and can be planted well into the fall, as long as temperatures stay above freezing at night. Once in the ground, they require little maintenance as they head into dormancy—yet they provide the benefits of color and filling in the landscape. The last half of this summer was hot, dry and not ideal for installing new plant material. And, some property owners might have lost plants because of heat or other problems this summer. Coming off of a bitter winter, Cleveland’s spring and early summer brought monsoon conditions, followed by a sweltering dry spell. These weather extremes are tough on plants. 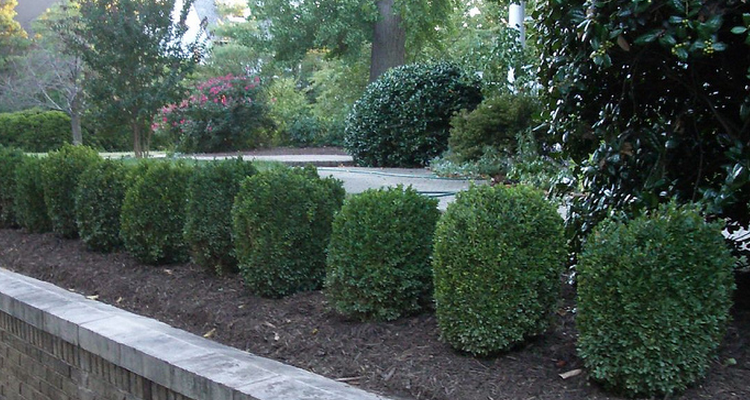 If you need to replace shrubs that didn’t fare well, now is the time to install basics like taxus and boxwood, which will quickly establish in fall before winter sets in again. 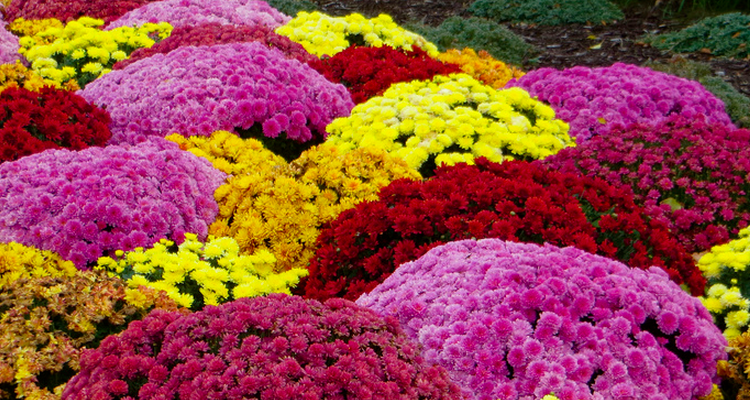 Introduce fall color into your commercial Ohio landscape with hardy mums—annuals that can go in the ground through mid-October, or be planted in containers to add interest to entryways and in gathering spaces on your grounds. If you’re looking for perennials to add to the landscape, pansies and violas will bloom in fall and early spring, so you’ll enjoy a full season of color with these flowers if you get them into the ground now. What’s also nice about these plants is they survive very cool nights (even some freezing temperatures). So if we get an early cold snap, you’ll still have color in on your property. 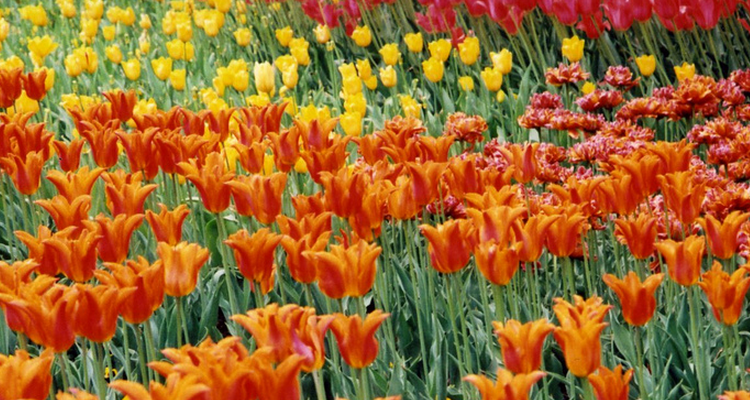 Think spring and plant the earliest bloomers—bulbs like daffodil, tulip and crocus. Fall is prime planting time for bulbs, and the reward comes when snow is melting and the first pops of color peep out from the earth. You can plant bulbs in Northeast Ohio until the ground freezes. Bulbs are low-maintenance. They require watering in after installation, but you can pretty much plant them and leave them until spring. The fall temperatures and moisture will take care of them for you. There is a good six weeks left of ideal planting weather left here in Northeast Ohio, and following a month of hot and dry weather, now is an ideal time to replace plants that are suffering or build out a new landscape bed on your commercial property. 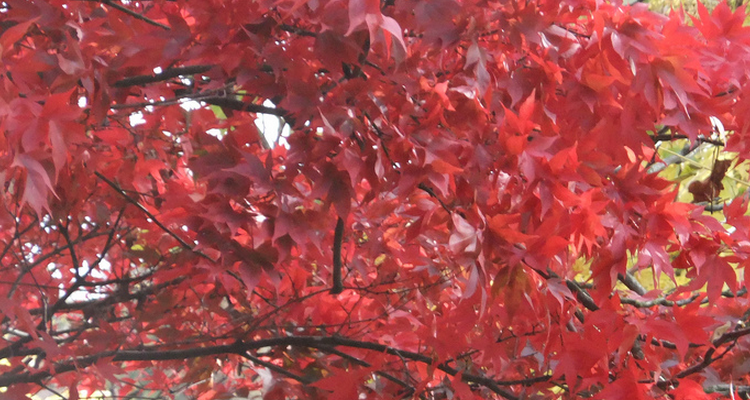 Let’s talk about what plants will suit your location—and may we suggest some fall color? Call us at 440.327.3030, or fill out this simple contact form and we’ll get in touch with you.